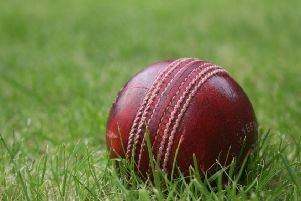 Market Rasen cricketer Nic Keast made his county debut for Lincolnshire when they faced Cheshire in the Unicorns Knockout Trophy quarter-finals. Lincolnshire also gave a debut to Matt Fowler at Chester Boughton Hall CC where Cheshire won the toss and batted first on a warm sunny day. Openers Will Evans and Calum Rowe put on 138 before Keast struck the first blow, bowling Rowe for 56. A second-wicket stand of 91 by Evans and Cheshire captain, Rick Moore, cemented Cheshire’s grip on the match as the run rate increased. Lincolnshire’s bowlers all toiled to obtain a measure of control, but the score continued to rise rapidly as opener Evans regularly found the boundary and a total of around 400 looked likely. Eventually with the total on 340, Matt Newbold dismissed Evans for 183, an innings containing 19 fours and nine sixes. The Cheshire innings concluded on 374-6 at the end of their 50 overs. Newbold (3 for 61) was Lincolnshire’s most successful bowler. The visitors needed to score at seven-and-a-half runs per over and, while they achieved this in the opening powerplay 10 overs, it came for the loss of three wickets. A fourth-wicket stand of 90 between Bilal Shafayat and Dan Freeman offered hope for the Lincolnshire cause, but their dismissal for 61 and 32 respectively virtually ended any hopes of a successful chase. Keast showed fine technique and concentration and he was last out for 36 as Lincolnshire were bowled out for 245 in the 39th over. Former Lincs player Luke Robinson took 3 for 41 and an outstanding catch to dismiss Conrad Louth as Cheshire completed a 129-run win. Lincolnshire’s next match is a double-header T20 against Cheshire, at Bourne, on Sunday.